My short answer is...I just know! But I know that doesn’t help ya’ll out. And greywoodmama is here to help ya’ll out. So today I am sharing a few tips for how I visualize things before hanging them on the wall. There are two ways to approach this topic. Traditional and non-traditional (or what I like to call modern). Ya’ll know your style. Or maybe you don’t, and that’s ok too. I hope you’ll see some ideas that inspire you to try it your in your home! Don't have time for this now? PIN this for later! Okay, let’s start with traditional. Here are a few basics I like to use. Odd numbers are good. Even numbers are good. Depends on the space you have. If you want to cover more space on your wall, use a horizontal arrangement. 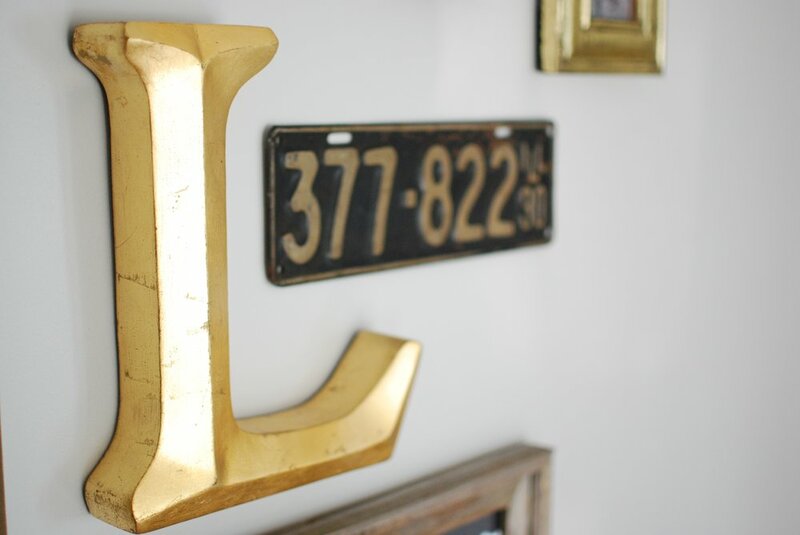 These are also good if you want to hanging things above a couch and you have a long empty wall. If you want to cover more space top to bottom, use a more vertical arrangement. Typically the space will dictate the arrangement for you. Don’t forget to leave some breathing space between the pictures. You don’t want them super close together (they will start to blend together) and you don’t want them too far apart (they will start to look incohesive). Now, for the non-traditional or modern look. If you are wanting to step outside the box a bit, maybe try something like the first one on the top right. Hanging pictures with twine, overlapping each other! Here’s an example I found on Google. How cute it that above the bed!? If you have a stairway, hanging pictures to follow the path of the stairs is pretty neat as well. You can arrange these however you want (with symmetry or not). If it was me, I would use some tape to draw a straight line following the stairs and then arrange the pictures around it. Here’s an example I found on Google as well. The list could go on. Anything goes when you’re creating a gallery wall! If you don’t want to put tons of holes in your wall, you will need to purchase Command Picture Hanging Strips. They are seriously the best thing ever. If you don’t have any, buy them. They will change your life. Lay all of your pieces on the floor and start to arrange them how you see fit. Again, no right or wrong answer. This is your wall! Here was my visualization again. I love the way it came together on this wall. A once empty space, is now covered in all things we love. Use painter’s tape. 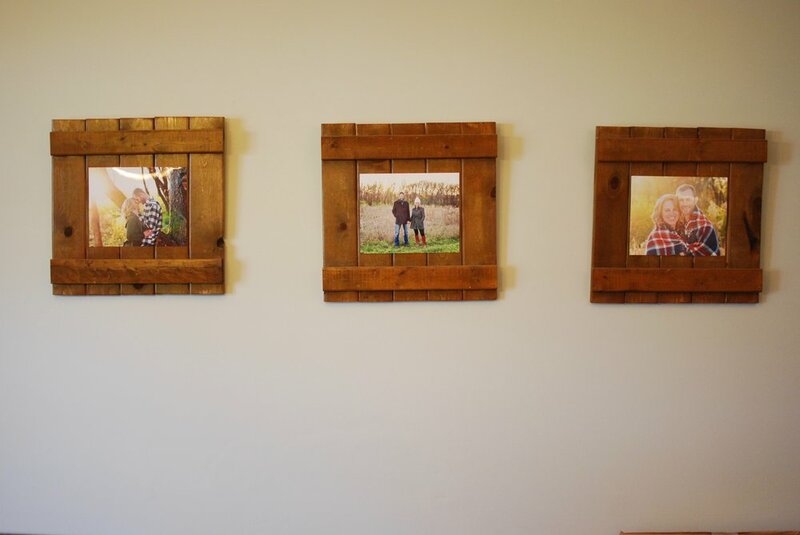 Create the frames on the wall with tape to help you visualize the space. Cut out paper in the shape/size of the objects and tape them to the wall first. Again, this will help you visualize it before actually hanging. Think outside of the box. Don’t use all the same frames. Mix and match things! Which style do you prefer? Traditional or non-traditional? Newer PostHomemade paper in 6 easy steps! Older PostYour questions answered: planning a morning wedding and brunch reception.